Full Frontal Froyo Caught Running on DROID X? I’m starting to get the feeling that we’ll be seeing these popping up on a daily basis until the OTA finally rolls out. Aren’t you? 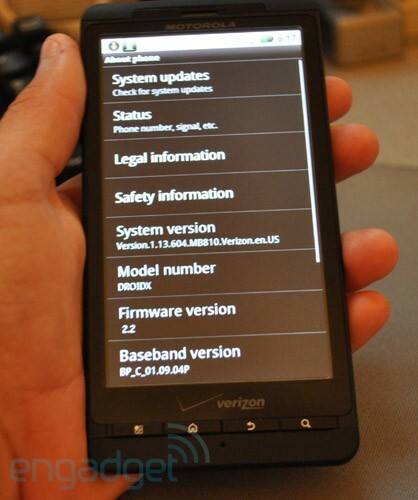 So we’ve got an “official” Incredible Android 2.2 leak, 2 shots of the Droid X “allegedly” running it and who knows how many builds for the Droid 1 in the wild. I guess next Friday is starting to look more and more legit.